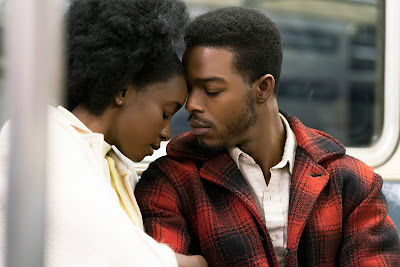 If Beale Street Could Talk is only the second screen adaptation of James Baldwin’s work, following an obscure French take on the same novel in 1998, and the spirit of Baldwin infuses the whole movie. It feels like Barry Jenkins sat down with the late author to craft this screenplay, which has emerged as a brilliant fusion of their distinct artistic visions. It’s impossible to imagine a film better capturing the romantic, yearning, angry, incisive tones of Baldwin’s voice, and Jenkins’ attempt to find a cinematic equivalent to his prose has pushed the director and his cinematographer James Laxton to give us a visually rhapsodic experience.